What is the first that comes to mind when you think of brownies?????Sweet? Ice cream? Chocolate? MMMMMMMMmmmmmmmm!!!!! Well that is everything Browny is and more. Browny is approx. 10 years old and such a lovable and fun girl. She's sweet and will melt in your hands like chocolate and ice cream. Browny loves her walks and she loves to play with her friends. She loves it when her foster mom has visitors, she of course thinks they're there to see her. Browny is in great health and and even has some pep in her step for an older gal. She's about 50 lbs and house trained. So who's ready for the sweet life with Browny? She's guaranteed to make your life mmmmm, mmmmmm, good! Lionel's Legacy is a San Diego based senior dog rescue and elementary humane education program. 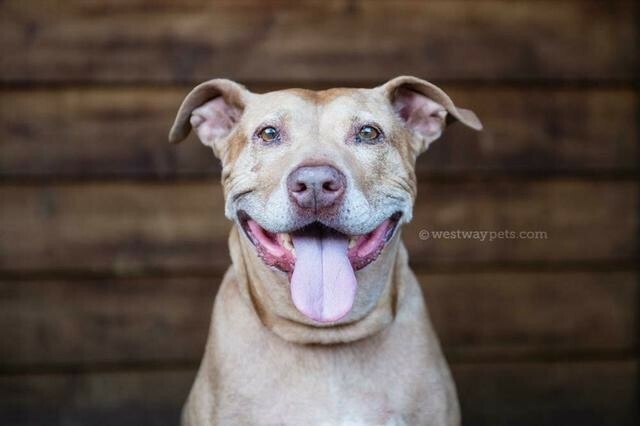 We provide a last chance for senior dogs entering the shelter systems in both San Diego and Los Angeles. We solely rely on fosters to care for our seniors temporarily while looking for their furever home or as permanent hospice fosters when the need arises. We also believe in early education as a means of preventing pet overpopulation. As a second grade teacher at Central elementary in San Diego, I see first hand the difference educating our brilliant young minds can make. Lionel's Legacy- Saving ONE senior dog at a time and educating MANY young minds to leave a legacy of compassion and advocacy! Our initial adoption process begins with an application of interest, a phone interview, an interact with all family members including pets, and a home check. Among completion and review of those areas then an adoption will be finalized with an adoption agreement, adoption fee, and followed up with a check-in within 2 weeks of bringing the new pet home.